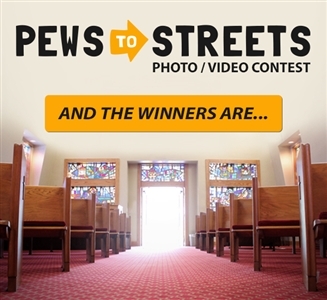 Three churches are taking home prizes of summer camp scholarships for their entries in the Pews to Streets photo/video Facebook contest. The contest theme was stories about international or domestic missions. Prize: Three summer camp scholarships for church youth. Prize: Two summer camp scholarships for church youth. Prize: One summer camp scholarship for church youth. The Florida Conference staff will send the winning churches details for registering their camp attendees. The camp registration link is http://www.warrenwilliscamp.org.